Hi team, I got the wrong PageCount when I tried to use Document.PageCount api. And also, this document is generated by Aspose.Words sdk. We have tested the scenario using the latest version of Aspose.Words for .NET 19.3 and have not found the shared issue. Please make sure that you have set the license before importing the document into Aspose.Words’ DOM. I’ve set the license in the code. After installing font OpenDyslexic-Regular, Document.PageCount returns value 4. 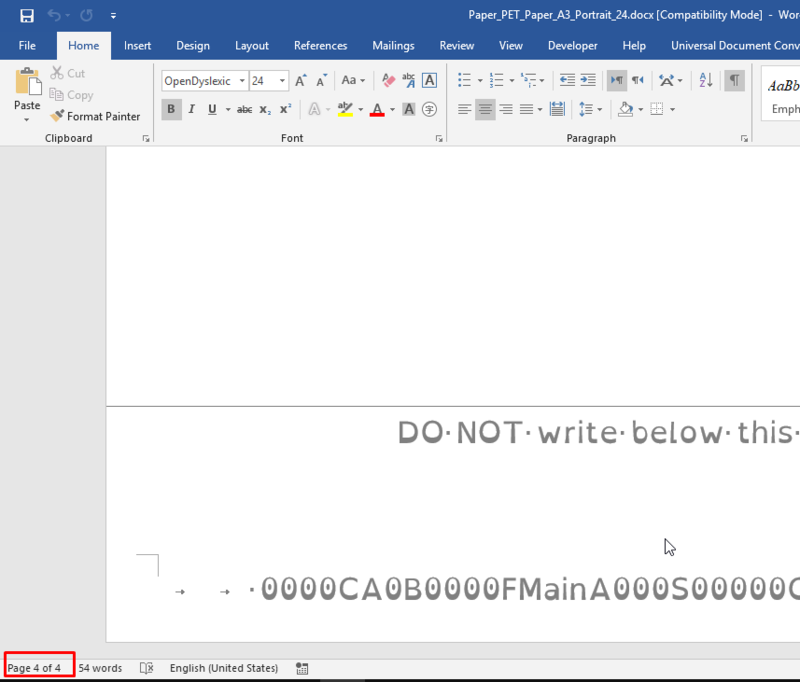 MS Word also shows 4 pages. Please check the attached image for detail. @tahir.manzoor. Many thanks for your response. The previous issue was indeed related to the font setting, and I’ve found the way to solve it. But, there is another document which PageCount is incorrect again. Could you please be kind to help? When I use ms office word to open, it shows 12 pages, but when I use Aspose.Word(.net core version 18.6 in NuGet) to load it, the PageCount is 13. I realized after I upgrade the SDK to the newest version (19.4) the PageCount is 12, which is correct. While for some reasons, I couldn’t upgrade… So I want to know if there is any workaround for this? It seems that there was a bug in old version of Aspose.Words that has fixed in the latest version of Aspose.Words 19.4. Please note that we do not provide support for older released versions of Aspose.Words. Moreover, we do not provide any fixes or patches for old versions of Aspose products either. All fixes and new features are always added into new versions of our products. We always encourage our customers to use the latest version of Aspose.Words as it contains newly introduced features, enhancements and fixes to the issues that were reported earlier.